This edition is a rarity and a treat. 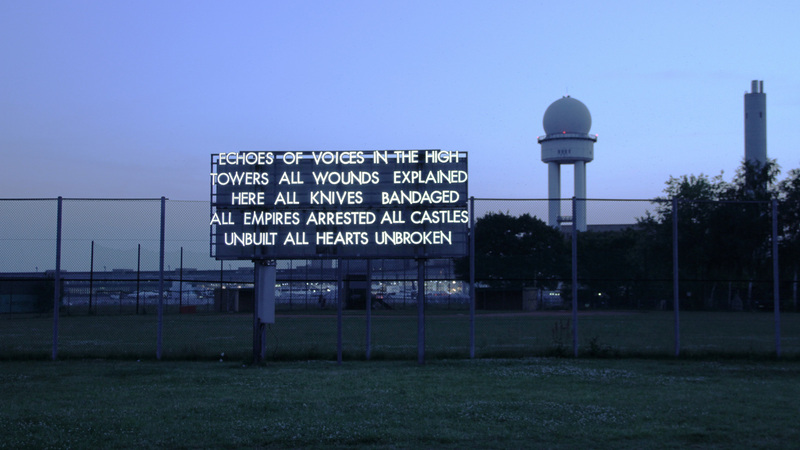 In conjunction with our first artist book, Echoes of Voices in the High Towers, Robert Montgomery kindly provided two of his beautiful billboard pieces in a highly limited edition of five each, all signed and numbered by the artist. 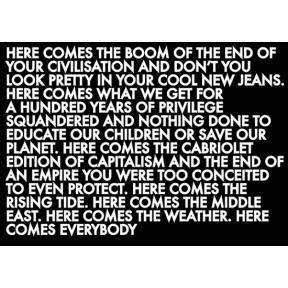 A grand 240 by 360 cm in size, the pieces come in three sheets of weather resisting billboard prints, and offer one poem each by Robert Montgomery that were presented as part of his project Echoes of Voices in the High Towers on advertising billboards in Berlin in 2012. Those words ring just as true today as they did two years ago, and needless to say, we're thrilled that we can make two of Robert's poems available in their original billboard format – only here and now, from us to you.